The end of the year is nigh, but technology never rests, so let’s get to the Network Break’s news and analysis. 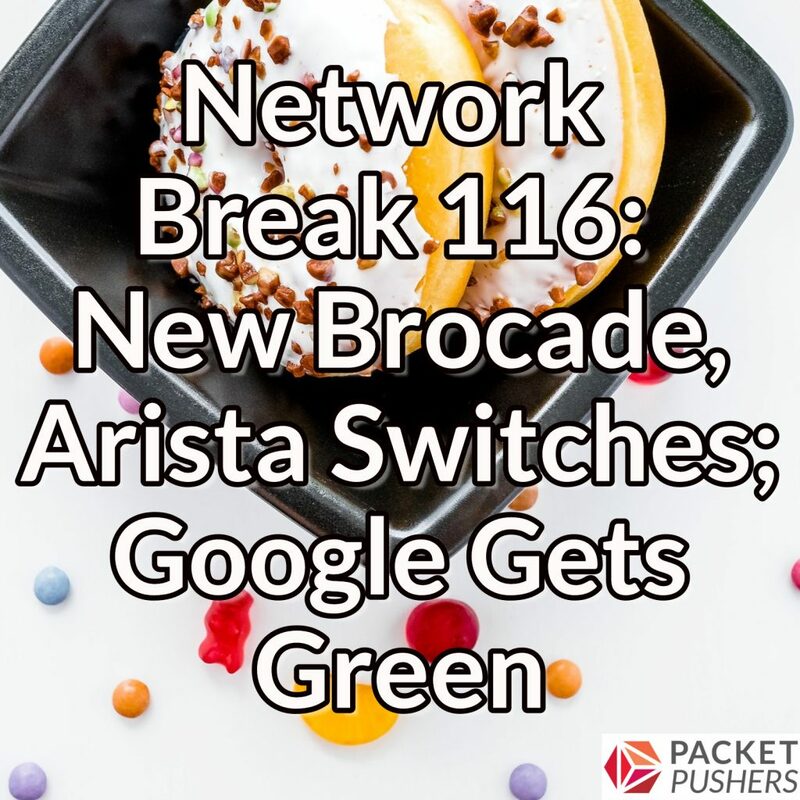 Brocade and Arista launch new switches for the data center and campus, Brocade introduces three new automation suites, and BigSwitch announces a new security architecture to thwart large-scale attacks. 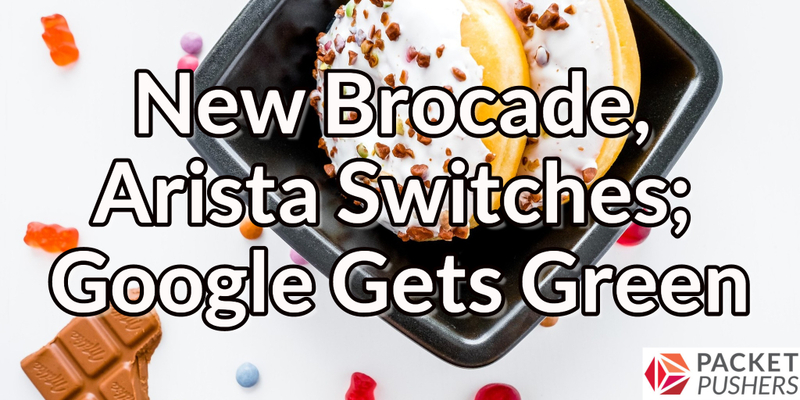 Cisco introduces new routers for service providers, IDC says switch and router revenues rose in the most recent quarter, and Google says it will use 100% renewable power in 2017. Equinix will buy 24 data centers from Verizon, Bluetooth 5 boosts its range and broadcast capacity, Dell reports quarterly revenues with VMware and EMC in the mix for the first time, the Broadcom/Brocade deal takes another step forward, and Juniper Networks gets some Wall Street analyst love. Get links on all these stories and details about our sponsor after the donuts. Check out itpro.tv/networkbreak t​o upgrade your brain with the most popular IT certifications. Premium subscriptions are normally $57 a month or $570 per year, but we have a special offer: Try it FREE for 7 days when you sign up using our code NETWORKBREAK30 t​o check out their courses, livestream, and more. You’ll also receive 30% off the lifetime of your account. That’s less than $40 per month or $399 for the entire year! Starting in 2017, we’ll be adding a 15-minute interview to Network Break, which we’re calling the Coffee Break. Some of these interviews will be sponsored to help cover the costs of producing the podcast. As with other Packet Pushers sponsorships, we’ll work to make sure the interviews are relevant, compelling, and informative. And if there’s someone you’d like to hear on the Coffee Break, let us know.